Hillsboro’s Elias Werth watches as his putt rolls toward the cup for a birdie on the No. 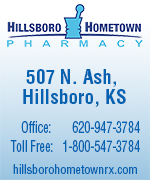 4 hole at the Hillsboro Invitational Golf Tournament Thursday. Werth shot an 84 for the day to place third, five strokes behind the winner. The Trojan golf team placed second among the six schools competing at the Hillsboro Invitational Thurs­day. The event was originally scheduled for Friday, but was moved up a day to avoid the prospect of bad weather. Halstead won the title with 361 points, a 13-stroke edge over second-place Hillsboro. 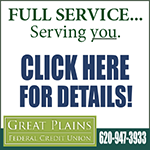 Goessel followed with 407, St. John Military 414, Hesston 428 and Chap­man 457. 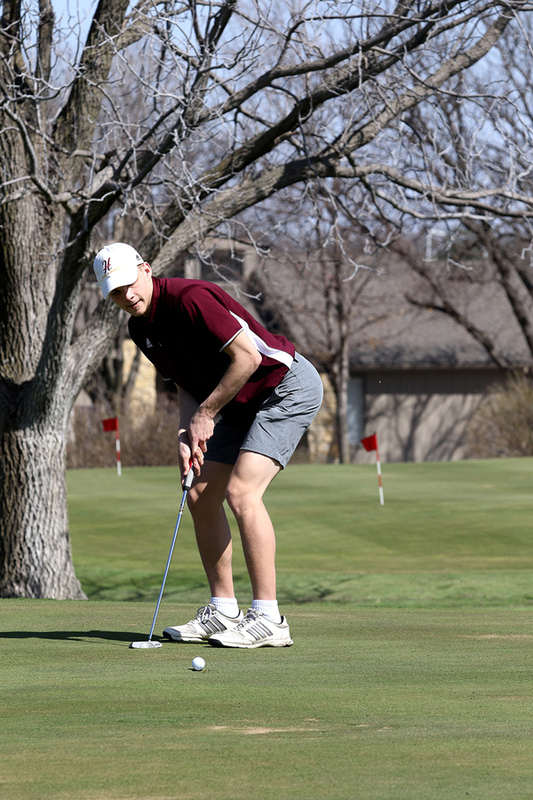 Elias Werth led the Tro­jans with an 84, which placed him third individually, five strokes behind the champion, Harper Martin of St. John Military at 79. Baylor Bohling placed second with 83. The rest of the team scored as follows: Colin Settle 91, Elliot Ollen­burger 95, Darian Ratzlaff 104 and Avery Unruh 104. “Our scores improved tremendously, improving our team score by 42 strokes from Tuesday to Thursday,” he added. “Elias Werth played very well here, posting one of the best scores of his career and finishing in third place. “This is closer to what I expect from him this season,” O’Hare said. “I am also pleased with how Colin has started the season with two top-10 finishes. He is becoming more consistent, and I expect he will be posting some better numbers this year. “Elliot seems just a bit off right now,” O’Hare added. “He is striking the ball OK, but is having some trouble getting everything to come together to score. He is a grinder and I fully expect he will work through this and put together some solid rounds. “Darian and Avery competed well for their first two varsity tournaments. They both have tremendous upside and will continue to improve. I anticipate they will both have positive contributions on this team. 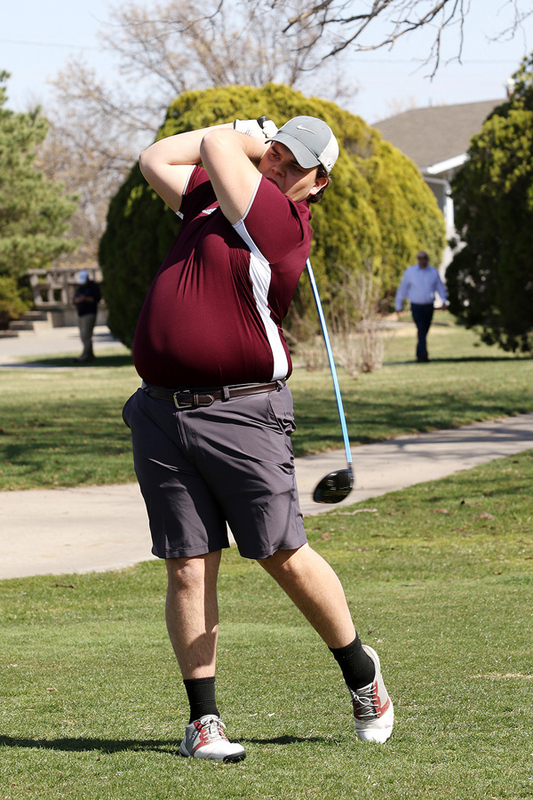 Herington—Battling strong winds and cold temperatures, the Hillsboro golf team opened its season April 3 at the Herington Municipal Course. Colin Settle tees off for the fifth hole during the Hillsboro Invitational on Thursday. The Trojan senior has started the season with two top-10 individual finishes. Colin Settle led the Tro­jans with a score of 99 over 18 holes for a fifth-place finish. Darian Ratzlaff followed with a 105, Elliot Ollenbur­ger 105, Elias Werth 107 and Avery Unruh 121. Those five individual scores placed them among the top 20 in a field of 44 golfers. Owen Gartner of Sedg­wick won the individual title with an 84. Halstead won the team title with a score of 391, followed by the Trojans at 416. Next were Sedgwick 438, Goessel 443, Remington 487, Inman 522, Chase County 526 and Marion 545. “Conditions at Herington were far from favorable for scoring, especially in our first tournament of the season,” coach Scott O’Hare said. “Temperatures hovered right around 40 and winds were 20-30 mph with gusts over 40 mph. That alone is a challenge for any golfer.